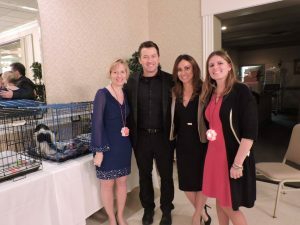 Wags to Riches 2017 – What a Night! By now, it’s been no secret of the significantly large expenses that Friendship APL incurred in 2016 for medical procedures. Spay and neuters are common and they do add up, but as awareness of not only FAPL’s existence, but its continuous efforts to save animals gain more attention, those more serious procedures such ACL repairs and amputations amass large debts rather quickly. Well, Saturday, February 11th, 2017 showed just how awesome and caring residents of Northeast Ohio can be. I should probably introduce myself briefly before I explain what I observed on a personal level this past Saturday. My name is Gregg Senko. I’ve been volunteering at FAPL since the autumn of 2016, usually in the form of writing articles to grace the face of our newsletter. I’m originally from here but I did spend five years in Florida recently, with the majority of that being Sarasota. When I was there, I volunteered at a large, non-kill shelter. Their facility stood on eight acres of Florida land with several $15,000-apiece hurricane resistant huts that could house four dogs each or twice that many cats. There was even a secondary location in a plaza storefront. They were heavily promoted throughout Sarasota and Bradenton each year and the money flowed in quite generously. They do great work down there and they deserve it. However, FAPL doesn’t have the luxury of massive promotional work. It’s not a household name across multiple counties. It doesn’t have an influx of four-figure checks coming in on a whim. We don’t have individual huts that cost the price of a small car. I don’t mention these things out of jealousy or ill will. I mention them because FAPL and its Executive Director, Greg Willey, do a lot with a little. They operate on this notion of just moving forward and doing. Put the animals’ welfare first and do what’s best for them. Sometimes it’s just best not to overthink things. Don’t sit there and debate the cost of the surgery for the animal. Just do it…and that’s exactly what FAPL does. It is not done with reckless abandon, but with caring intentions and a heart of gold, which brings us to February 11, 2017. 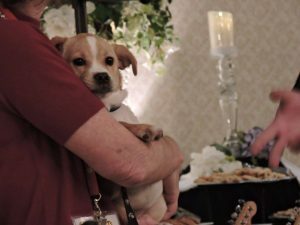 It was my first exposure to a Wags to Riches event and what a beautiful one it was. Yes, there were a plethora of prizes that lined the walls of Tom’s Country Place, the venue of the evening’s gala. Local celebrities from Fox 8 appeared, an authentic OSU Buckeyes helmet was up for grabs and the food was delicious. As great as those aforementioned aspects are, they were not the highlights of the evening. 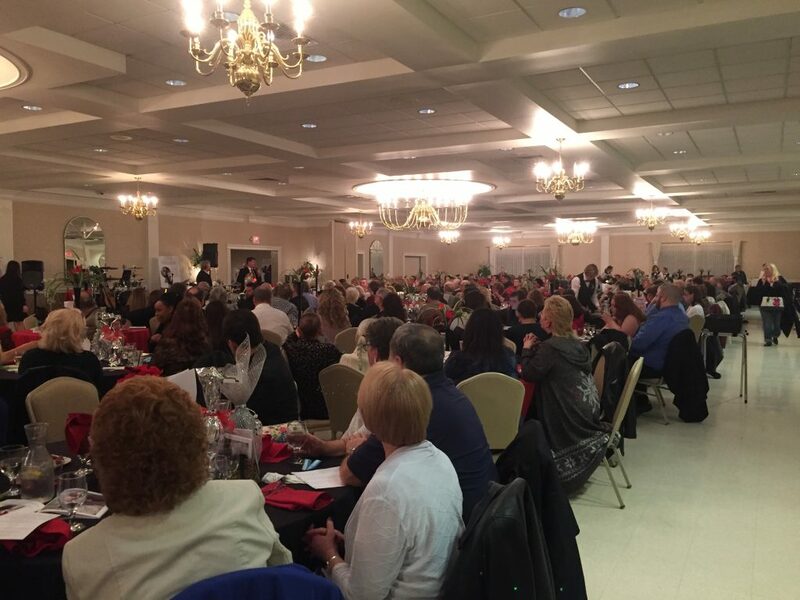 The highlight was when tables of guests made their donations and everyone was asked to stand. Greg Willey stood proudly at the front of the room naming an amount and asking people to sit if their table collectively donated less than that. As the stated amounts increased by Willey, more tables continued to sit and the emotion from FAPL’s Executive Director started to surface. So here is where my mention of Florida comes full circle. There is something about the people of Cleveland and its surrounding areas. There is this undeniable vibe of positivity among its citizens. Yeah we get six months of gray skies throughout the year. I’ll take it. We have harsh winters from time to time. I’ll handle it. We have some absolutely incredible, down to earth folks here who will give a paycheck to help an injured cat and dog. I’ll embrace them. As Greg’s voice started to crack in sheer emotion and surprise once the amount of $3,000 was announced and multiple tables were still standing, I would be lying if I told you I was not starting to experience the same swell of emotion. Greg had to face the crowd of 300+ that night. I got to sit in the back, shielding my teary eyes from the masses. Why? Because I have seen a little girl’s face light up at the shelter when she and her mom took home a cat and I have seen a middle-aged man dance around the parking lot in elation with his new dog. Wags to Riches made moments like those possible. As for that leading donor table, they surpassed the $5,000 mark. What that table alone contributed was remarkable. What all the guests did combined was like a greater power hugging your soul. That’s Northeast Ohio for you. Wags didn’t stop there though. There was also a night of festivities that continued to put smiles on the faces of those in attendance. A money-free casino evening was the theme as people took their seats at Blackjack tables and around the roulette wheel. Personally I watched my chips disappear faster than a desert oasis. Hey, just like real life in Vegas, but I digress. 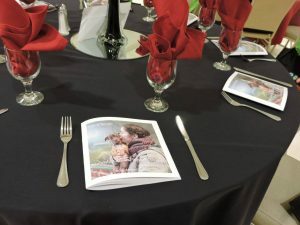 While guests excitedly darted between tables, a collective “Awww!” of disappointment was let out over at the red and black spinning disc of chance. Surely someone just missed red 27, but even when real money is not on the line, the engaging roulette wheel can apparently still have a cold, cold heart. The evening’s musical entertainment was provided by local band Honeycreek. The five-member group had a knack for playing a wide variety of tunes, even slowing some down to make them appropriate for the casual mood of the evening. I even caught a Lady Gaga song played by them, with just enough of a toned down tempo and a jazzy club effect added to create a new spin on it. Honeycreek didn’t miss a beat on the evening, playing a marathon of sets and showing no signs of musical fatigue. This article cannot be concluded without a mention of some very special guests of honor. A few cats and dogs from the shelter were on hand to meet and greet with the human attendees. One in particular was a three-legged sharpei named Jersey who became the night’s social butterfly. As Greg Willey said in his speech, the sharpei breed can typically be non-social and standoffish. Jersey was anything but those two traits. This dog was so incredibly happy with all the attention, all she did was put smiles on people’s faces. This dog’s awesome demeanor is just begging for an adoption. While less spotlight-enjoying, the other dogs and cats on hand were just as lovable in their own, more chill way. Everyone has their own speed, even felines and canines. By the end of the night, FAPL had exceeded its expected donation goal. Attendees, many carrying prizes, left happy and yours truly took a second to stare at what all that hard work produced. I’ll be honest. I don’t know the origin story of the Friendship Animal Protective League in Elyria, Ohio. I just know that whatever evolution it underwent over the years has led to a culmination of staff, volunteers and leadership that have turned this shelter into a well-oiled machine. 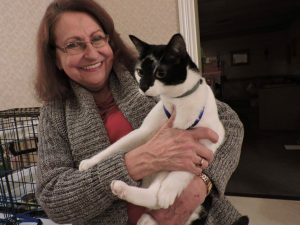 It is a place where cats and dogs get new leases on life, and sometimes so do the people that adopt them. It is a place where dogs are trained and bonds are made. It is a place that holds one night a year so dear to its heart to make it all possible. Wags to Riches. What a night.